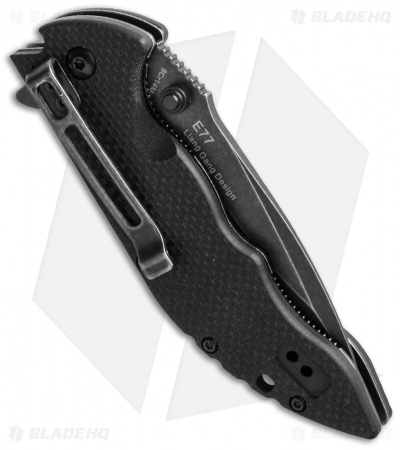 Compact and tough, the E77 flipper makes an excellent everyday carry knife that packs all the cutting power you need into a sleek design. The tapered handle provides three dedicated finger grooves, with sufficient real estate for the fourth finger. Textured G-10 scales have been drilled and machined to accommodate the 4-way reversible clip. 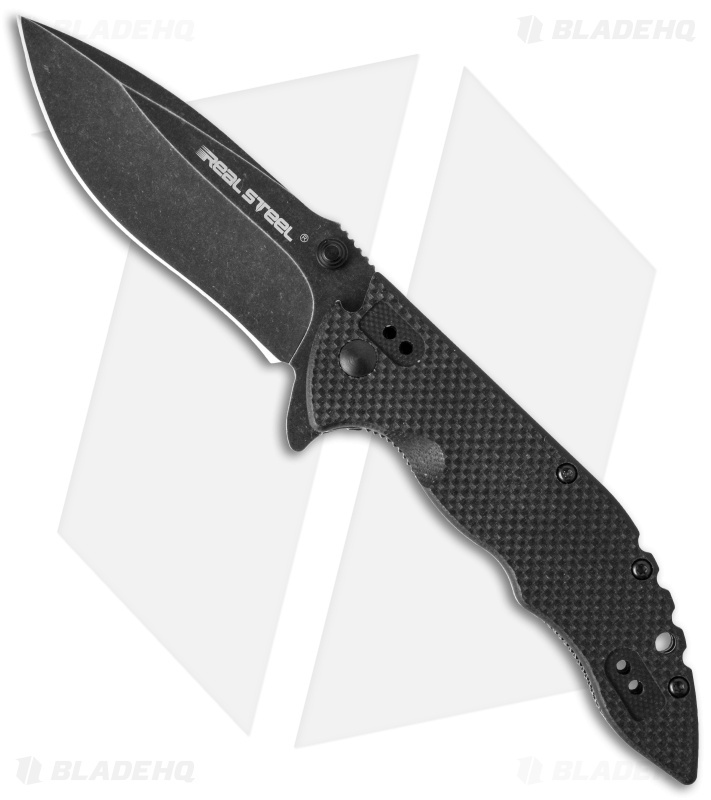 The recurved blade is smokewash finished and utilizes a flipper/guard.